Designer-makers HANDMADE in BRIGHTON are creators of stunning bespoke live-edge tables and superb, quirky furniture. Their gorgeous 'industrial-rustic' custom-designed pieces are artisan-made in the UK, and have been featured in The Sunday Times, Elle Decoration, Vogue, Tatler, House & Garden, GQ and World of Interiors. They were awarded Best of Houzz in 2016, 2017 & 2018. 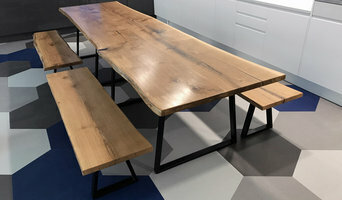 Their urban noir style uses the most beautiful raw materials such as slabs of natural wood, steel, glass, copper, leather, slate and resin to produce highly individual pieces, such as dining, coffee and console tables, breakfast bars and seating. Age of Reason creates printed cushions, silk lampshades and art prints with a playful twist in the UK. Crafted from printed silk, cotton velvet and British wool, our cushions have been seen in Selfridges, Liberty London, Harvey Nichols and online. Pink & Bird are proud to offer unique, colourful, and affordable designs across a range of products. Our focus is on providing our customers furniture with a service, ensuring that your specific needs are met, every step of the way. Combining classic French furniture with playful, progressive design, The French Bedroom Company has revolutionised bedroom styling, with super luxe interiors and accessories that ooze high-octane glamour. 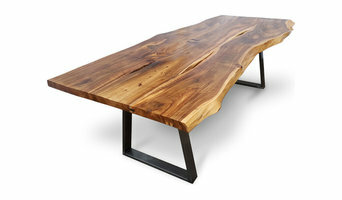 Online boutique featuring luxurious bespoke furniture and interior accessories inspired by nature. Every item of Port Wood furniture is extraordinary. We believe in creating luxurious, quality and functional furniture from beautiful, renewable materials with a low impact on the environment, while supporting communities and small manufacturers rather than mass producers. Each product should tell a story of its own. We design and make furniture, wallpaper, art and fabric. We specialise in the refurbishment of antique billiard and snooker tables, and the manufacture of contemporary snooker and pool tables. We are an online contemporary modern design led furniture retailer and home staging specialist. We retail direct to customers online and sell mainly Scandinavian style furniture, with a balance of minimalist vs maximalist style colour pops and textiles. Our mainline is retailing furniture and furnishings to uk customers from our online store based in Brighton serviced from our warehouse in Leicester. We sell contemporary furniture and our products and have been featured in World of Interiors, Living Etc, Red, Elle, Marie Claire and Vogue. We also advise for Home-stageing, Interior Design, event styling and retail projects for the home and hospitality industry. Please contact the studio to start your project with us today. 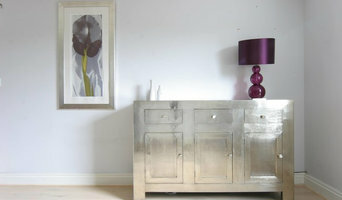 Why should I use a Brighton, East Sussex furniture designer or home accessories professional? Think about what pieces you need or what your vision for the overall look of the room is. Do you have very specific ideas for what furniture you’d like or do you just know the colour palette or the basic type of furnishings and accessories you want? If you have very specific ideas it could be an option to look at Brighton, East Sussex bespoke furniture designers and makers. They will work with you to produce one-of-a-kind pieces to make your ideas come to life. Otherwise, it’s a fantastic idea to hire a Brighton, East Sussex home furnisher to help you choose furniture and accessories to work with your interiors. Professionals with years of experience will have a great eye for picking out the right pieces based on your brief and your room design, saving you the time and stress of hunting down the pieces yourself. However, when not constrained by time, some homeowners can really enjoy the furniture hunting process. Tracking down unique or vintage home furnishings from furniture manufacturers, retailers, car boot sales, showrooms, auctions and home furnishing stores in Brighton, East Sussex can be a real thrill, especially when you find exactly what you were looking for or perhaps something completely unexpected but brilliant nonetheless! If your budget can’t stretch to bespoke, designer or professional-picked pieces, this is also the best and most convenient option. Try browsing through the collections from a furniture manufacturer to see if they have any styles you like, or scour secondhand furniture shops and auction houses if you’re after something with a history. It’s not all about the furniture, though. Your home accessories can provide the finishing touches to any room in the house. Table lamps, plants, cushions, rugs, candles, ornaments, artwork and picture frames are just a few of the accessories you can use to round off the style of your room and add personal touches. It’s easy to find ideas for these smaller furnishings with plenty of Brighton, East Sussex home furnishing stores and their products listed, as well as the furniture designers, manufacturers and makers. 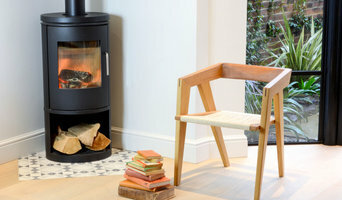 Find Brighton, East Sussex furniture designers and accessories manufacturers, showrooms and suppliers on Houzz. Narrow your search in the Professionals section of the website to Brighton, East Sussex furniture and accessories, then choose the nearest area for showrooms and retailers. Or you may want to look through Brighton photos to find furniture designs you like and contact the furniture manufacturers and showrooms directly.